recommended for: Fans of Throne of Glass by Sarah Maas, Burning Glass by Kathryn Purdie, and The Lioness Quartet by Tamora Pierce. 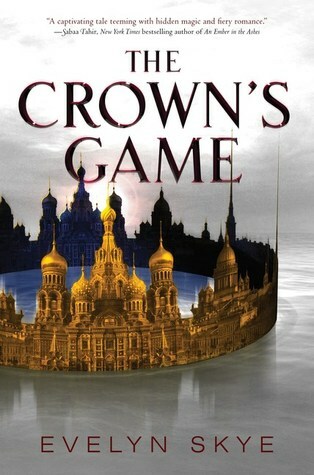 If you've been anywhere near the internet, you know that The Crown's Game has exploded in the YA world. In fact, it hit the NYT bestseller list at #3 today! For good reason. Skye's debut is a fast-paced battle royale with backstabbing, trickery, a touch of whimsy, and scads of magic. Vika and Nikolai are Enchanters, the only ones of their kind. Every Enchanter must serve the Tsar--but the well of magic is limited and, in true Highlander fashion, there can only be one. Hence, the game. The victor pledges their powers to the glory of Russia. The loser dies, surrendering their hold on magic. While I had a few issues with the premise at first--really, they can't just both be Enchanters?--I began to understand the fear of these people. With magic being a limited resource, power would be split between two people who could do weaker spells than one person using all the magic at once. Thin, maybe, but governments have devised crazier contests under more asinine assumptions. It's the biggest flaw. Accept it, and the adventure is well worth the effort. There is an immediate feeling of old world high magic and fairy stories, of Ella Enchanted and Diana Wynne Jones. Vika races through the forest, freezing ponds and fending off felled trees with firebombs. Nikolai scrapes at the feet of his oppressive benefactor. Prince Pasha sneaks around the docks at night, pretending at the freedom of the commoners. There's even a bakery shaped like a pumpkin. 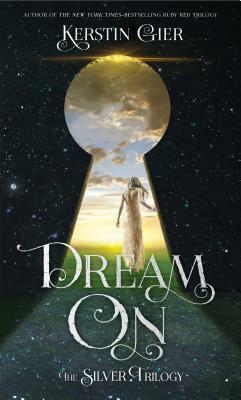 Skye writes with a clear, graceful style that brings each scene to dreamlike life. If that's not enough, Skye's command of Russian history and culture is so exact that you feel transported. Against this enchanting backdrop is the deceptive prettiness of the game. Vika and Nikolai paint the capitol in magical colors, create spectacular living puppet displays, change the very land, but death waits for them at the end--or the middle. What I loved is that even though they don't want to hurt each other, they still want to save their own skin. Between magical feats, they devise ever cleverer and deadlier schemes to murder each other, and they truly mean it. It's no sportsmanlike romp. Their cutthroatedness makes them realistic, and their other qualities make them admirable. Vika is as fiery as her hair, wild, full of energy and grand ideas and mischief. Nikolai lives in his head, inventing and tinkering; he's soft spoken, genteel, and compassionate to a fault. Between them is Pasha, dashing and charmingly childlike. There is no clear winner. No best outcome. Skye entrances you at first with the delight of the competition, with balls and flirtations, and then wrenches out the light piece by piece. People die. There are betrayals. There are dangerous, otherwordly threats and enemies abroad that force Vika and Nikolai to think beyond the game, to the good of all Russia. And there's a final showdown, an ending that will pierce you right through the heart and leave you weeping for the sequel. And for the record, I miss the little Vika from the cover. What gives!? The Crown's Game blends folklore and ferocity into a fantastical game of cat and mouse that enchants and cuts deeply. I've heard so many good and exciting things about this book! I hadn't even heard of it before which is bizarre because I realize now everyone has been talking about it for quite a while. Nice review, I definitely will be picking this up! I've heard lots of great things about this book but also a few not so good things...HOWEVER, it's impossible not to get swept away by the buzz. I didn't pay attention when it started making it's rounds but now I'm thinking I should check this out! The old fantasy feel + brutality sounds like a winning combo to me! Lovely review CJ! I absolutely loved this book too. And I'm glad I'm not the only one who missed Vika on the cover - I was so confused when I got the book (and I think my review has the old cover - guess I should update that! ).